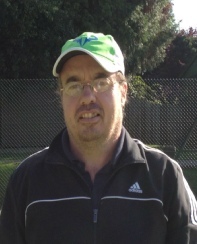 Simon Gibaut is the head coach at Northwood Lawn Tennis Club and runs SG Tennis. He has over 15 years experience coaching a wide spectrum of ages and abilities. Simon is an LTA licensed CCA coach (level 4) and a PTR professional. He regularly attends courses to enhance his coaching skills. Simon runs a successful junior and adult programme at NLTC. He also offers individual lessons and racket restringing. Simon offers individual lessons for juniors and adults at a rate of £31 per hour (£28 for NLTC members). He also offers shared and group lessons, as well as 30 minute lessons for younger juniors (POA). Charlie has completed his LTA level 3 and is DBS (previously known as CRB) checked. 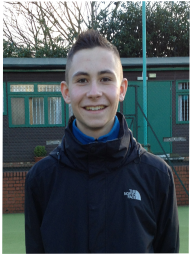 Charlie has played tennis for a number of years and is very passionate about the game. 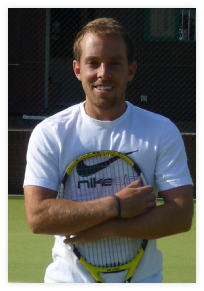 He is fully involved in the mini and junior tennis programme at Northwood, and is now working at the club full time. Charlie offers individual lessons to junior members at a rate of £25 per hour (£22 for NLTC members). He also offers shared and group lessons, as well as 30 minute lessons for younger juniors, POA). Peter has been working as a full time tennis coach for over 25 years. Over his career he has coached at several different local clubs where he has built up a large repertoire of knowledge and skills. Peter has vast experience in coaching all levels from beginners through to performance players. He currently runs all the advanced classes and is also involved with the regular junior program. Peter offers individual lessons for all ages, at a rate of £28 per hour (£25 for NLTC members). He also offers group and shared lessons (POA).